Providing Eye Health Education through Books, Courses and More! Our mission is to empower our patients and the public with the knowledge they need to prevent eye disease and vision loss. A groundbreaking plan for improving eye health and for slowing and preventing eye disease from highly-respected optometrist and founder of Eye Wellness. 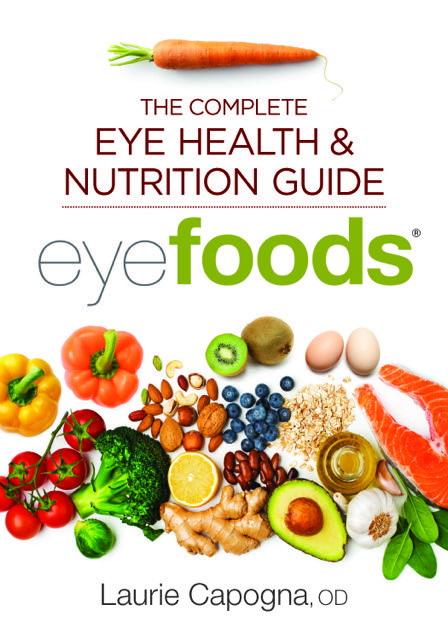 Eye health and nutrition is a quickly expanding topic with current research showing that lifestyle and nutrition choices can help to improve and maintain eye health while preventing common disorders. Eye health is an emerging topic with few competing titles, meaning that EYEFOODS® has an opportunity to lead the market. Dr. Laurie Capogna is a highly respected optometrist. Her two self-published books have sold almost 40K copies through non-retail channels across editions and translations.